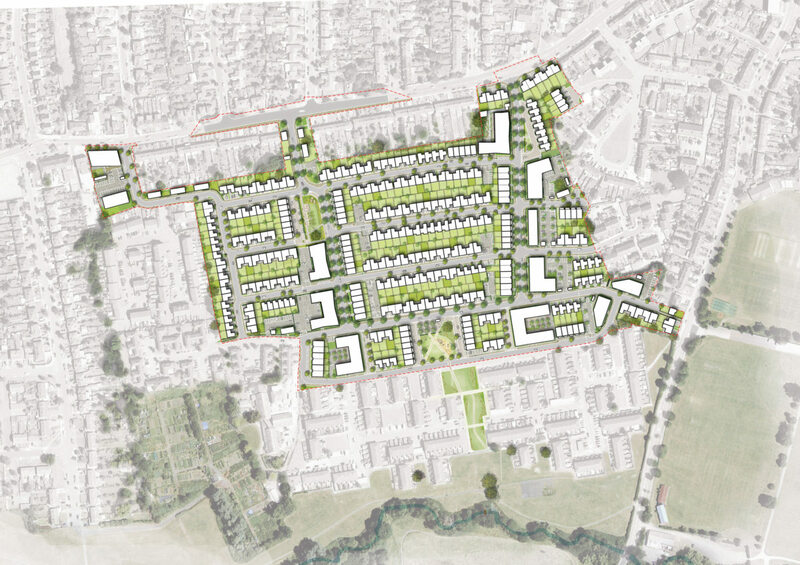 Alison Brooks Architects are master planners and Phase 1/2 Architects for the 631- dwelling Dollis Valley Estate regeneration masterplan with JV Client Countryside Properties/L&Q, in the London Borough of Barnet. 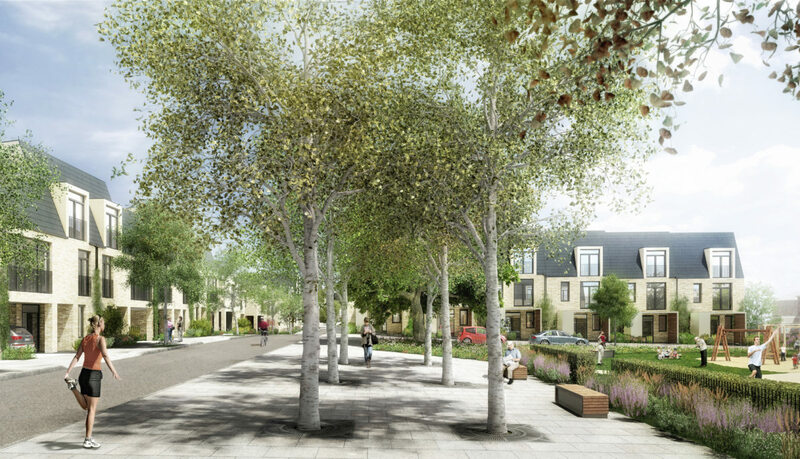 The masterplan was led by ABA and landscape by HTA, who contributed to the 50-dwelling Phase 1 detailed designs. 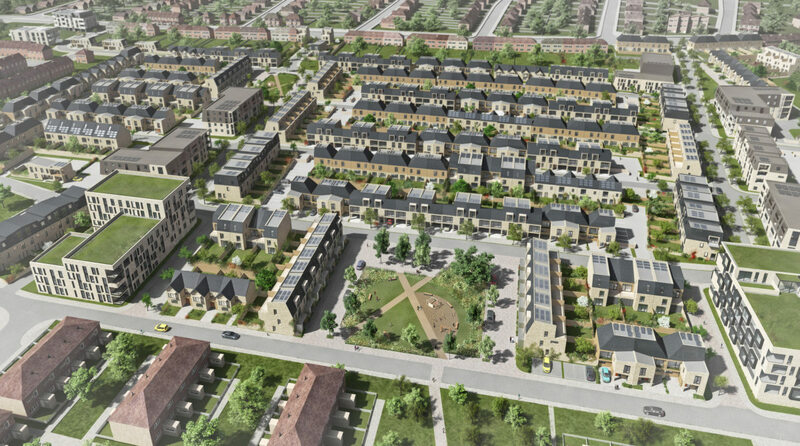 The 1960’s -built Estate, identified as one of Barnet’s priority regeneration schemes, occupies a hill-side site on the border of the Dollis Valley Open Space and King George V Playing Fields. 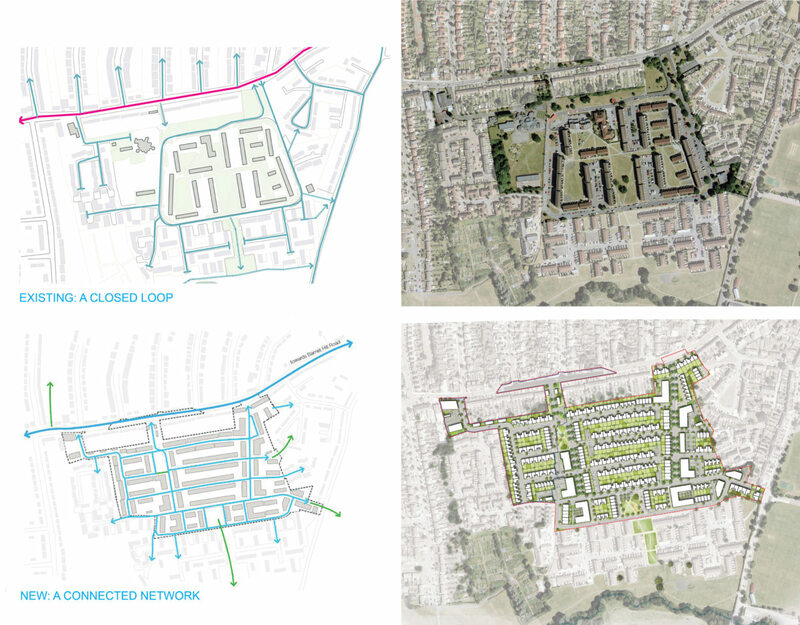 ABA and the client team worked closely with the Dollis Valley Residents Association and local community to produce the regeneration proposals following a successful competitive bidding process in 2011. 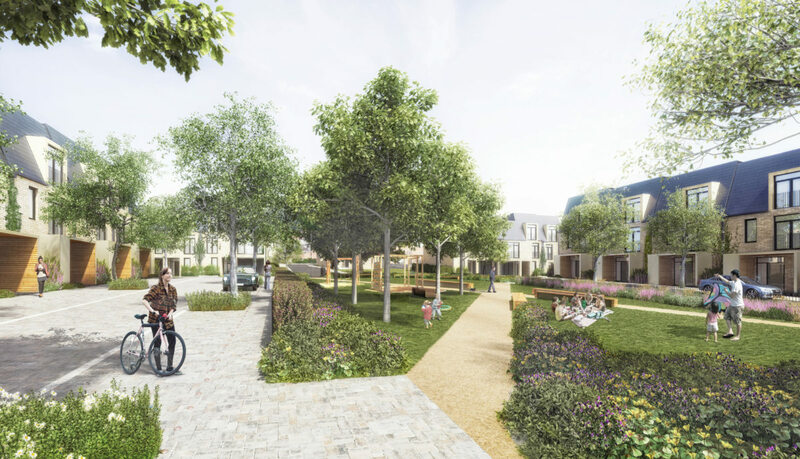 ABA’s transformational masterplan re-connects the estate into the wider Barnet neighbourhood with a clear network of streets and garden squares within a sustainable landscape framework. 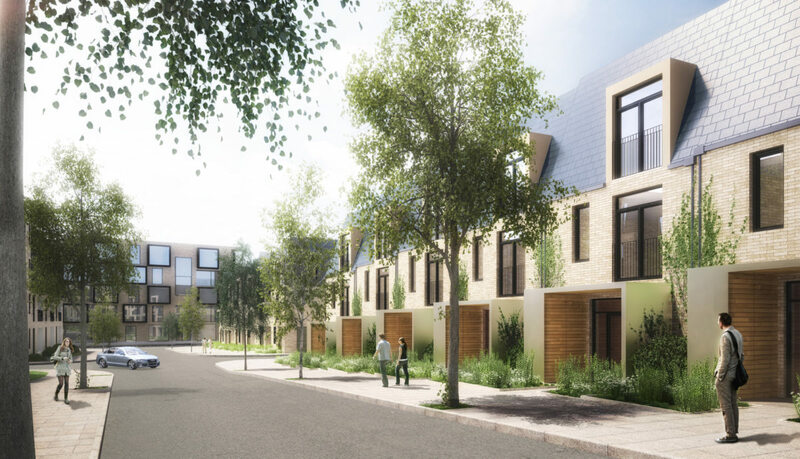 A predominant character of two and three storey terraced houses with private gardens, shared communal gardens, a community centre, nursery and tree-lined avenues offers a contemporary reinterpretation of the archetypal London Garden Suburb. 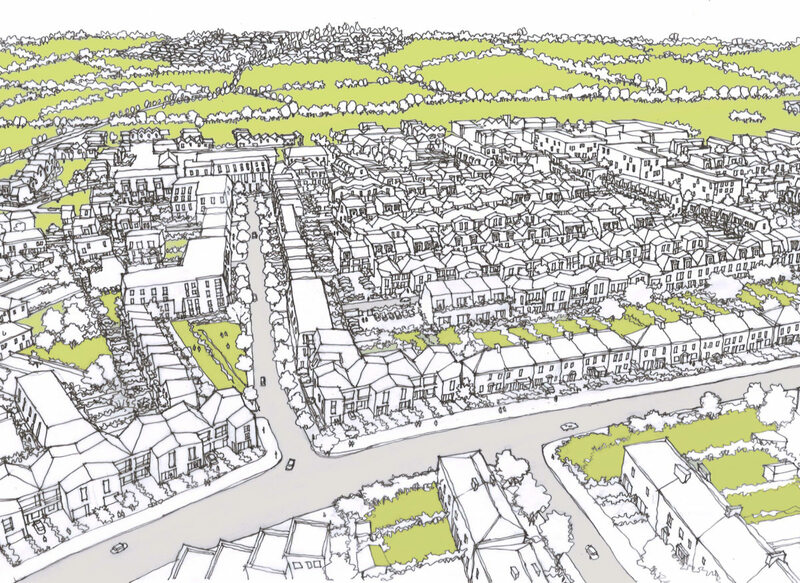 The Dollis Valley garden suburb will not only be ‘green’ but will be ‘smart’: integrated passive and active measures will reduce carbon emissions, manage rainwater, increase biodiversity and support recycling. 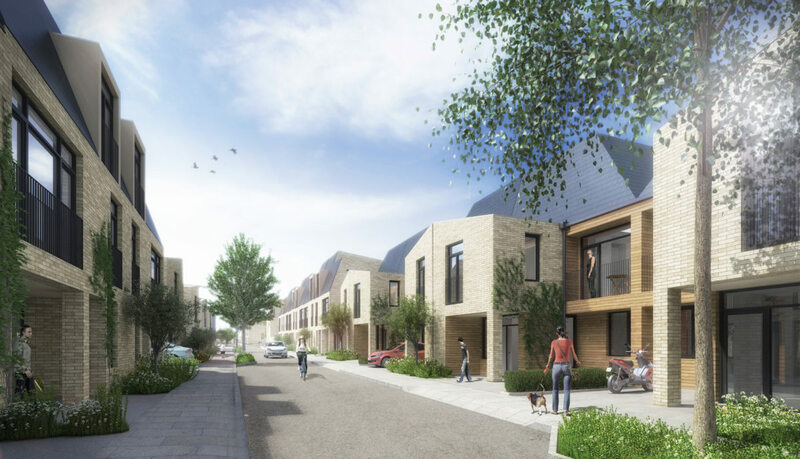 Designed to Code for Sustainable Homes Level 4, the team approach aims to place Dollis Valley at the leading edge of sustainable suburban development. 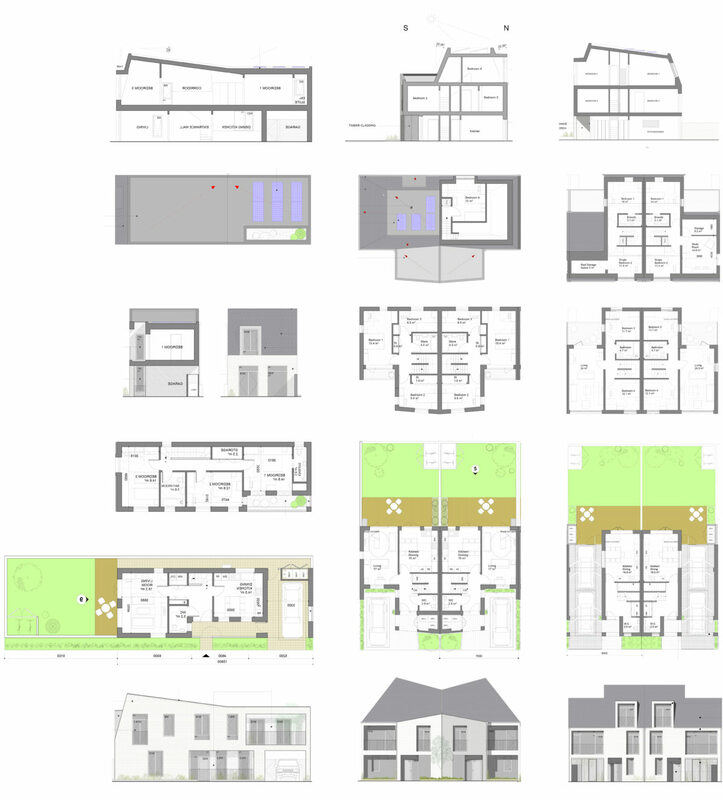 The masterplan incorporates exceptionally wide house plots to accommodate a variety of plan forms and on-plot parking, making streets car-free. 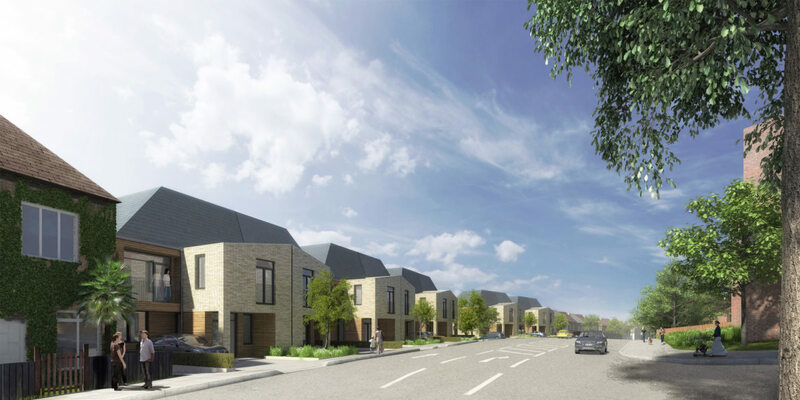 ABA have developed house typologies with a range of distinctive crown and mansard roofs that express each house clearly within longer terraces. The geometry refers to the highly articulated Arts & Crafts vernacular of local Barnet neighbourhoods and the longer tradition of crown roofs and dormers found in London’s 19th Century suburbs. Four storey apartment buildings delineate major streets and act as markers at the end of the masterplan’s main avenues. 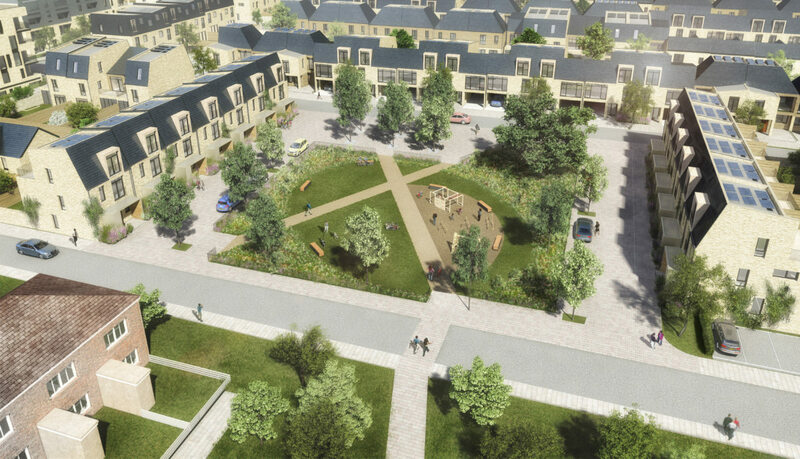 A central garden square is a multi purpose community space and threshold to the 10-mile Dollis Valley riverside Greenwalk.